Margate Mayor Cllr Julie Dellar visited Quarterdeck Youth Centre on Tuesday (April 2) to award children certificates and t-shirts for completing a ten-week course to improve their emotional wellbeing. 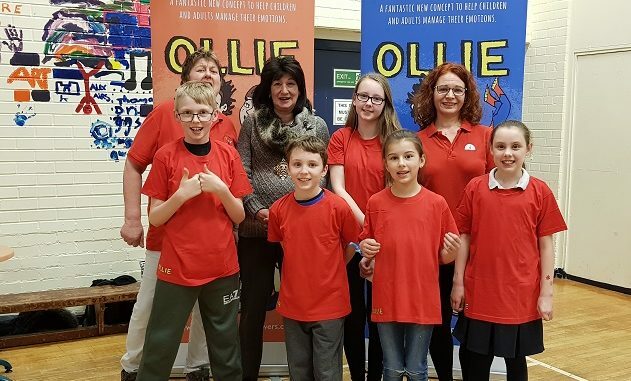 The Ollie Kids programme has been working with Kent County Council’s Thanet Children’s Services to help a group of children take part in games and activities that promote self-resilience, empathy, teamwork and communication skills while having fun at the same time. 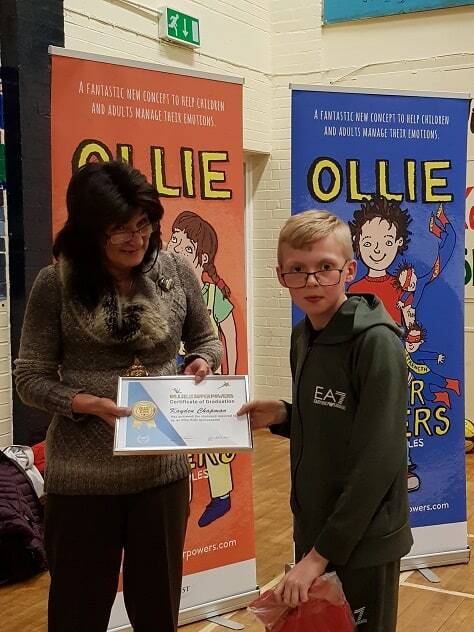 The course was created by Alison Knowles, author of a series of books called Ollie and his Super Powers, which aims to help children learn to manage their emotions rather than being controlled by them. “They are now much more confident. They have worked hard as a team and really supported one another. They have shown a huge amount of insight into their own emotions, being able to name and discuss them, and sharing very personal stories in the group. After the ceremony, which was attended by staff and parents, two of the children gave a short presentation on what they had learned during the programme, before enjoying a celebratory cake.